Generation I - William Tilton: immigrant ancestor, born in England, settled first in Lynn, Massachusetts, prior to 1640. He was "freed from training, but to keep his arms fixed," April 30, 1646. He died in the early part of 1653. His widow Susannah presented his will for probate in May, 1653. She married Roger Shaw, of Hampton, New Hampshire, whither she took her youngest son by her former husband, Daniel Tilton. Children of William and Susannah Tilton: 1. Abraham (? ), married Mary Cram, daughter of John. 2. Samuel, married, December 17, 1662, Hannah Moulton. i. Daniel, mentioned below. Genertion II - Ensign Daniel Tilton: son of William Tilton (1), born in Lynn, 1646-47, married, December 23. 1669. Mehitable Sanborn, daughter of William and Mary Sanborn, of Hampton. He settled on what is known as the Akerman place on the Hampton Falls hill. He died in Hampton, February 10. 1715. In 1667 the town of Hampton made a grant of land in case he would "sit down as blacksmith." He and descendants carried on the blacksmith business continuously in the town for one hundred and fifty years down to the time of the death of Captain Stephen Tilton in 1821. Daniel bore the title of ensign in the militia in 1696 and was in command of a garrison at Hampton. He was a member of the executive council and general assembly, 1693-95, and 1702. during this last year being speaker of the house. He was again member of the general assembly in 1709-11, and finally in 1714. when he requested dismission "being infirm and antient." Daniel was the progenitor of the Tiltons of New Hampshire. Children of Daniel and Mehitable Tilton: I. Abigail, born October 28, 1670, married Christopher Shaw: she died October 4, 1759. 2. Mary, born March 9, 1673. 3. Samuel, born February 14. 1675. mentioned below. 4. Joseph, born March 19, 1677. married, first, Margaret Sherbourne and, second, Elizabeth Hilliard. 5. Mercy, born May 25, 1679. married Samuel Elkins. son of Eleazer. 6. Daniel, born October 23, 1680. 7. David, born October 30, 1682, married Deborah Batchelder; he died May 26. 1729. 8. Mehitable. born October 2, 1687. married, May 14, 1708. 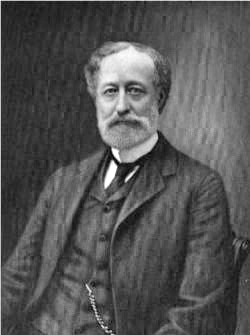 Joseph Lawrence. 9. Hannah, born April 27, 1689, married Nathaniel Hedley. 10. Jethro, married Mary . 11. Josiah. Generation III - Samuel Tilton: son of Daniel Tilton (2), born in Hampton, New Hampshire, February 14. 1675. married Meribah Shaw, widow of Josiah Shaw, and daughter of Francis Page. January 7, 1703. He died in 1721. Children, born at Hampton: 1. Samuel, November 1, 1703, mentioned below. 2. Abigail, May 20. 1706, married Ebenezer Prescott, son of James. 3. Meribah. December 2. 1707, died November 2, 1795; married John Fogg. 4. Josiah, April 1, 1709. married. February 8, 1732, at Salisbury, Massachusetts. Sarah Flanders. Generation IV - Samuel Tilton: son of Samuel Tilton (3), born in Hampton, November 1. 1703. died in 1766. His will was proved October 26. 1766. He married, January 31, 1731. Abigail Batchelder, daughter of Jonathan and Sarah (Blake) r,atchelder, of Hampton Falls. Children: 1. Meribah. 2. Jethro Batchelder. 3. Meribah. 4. Sarah. 5. Reuben. 6. Abigail, born 1746. 7. Lydia, born 1748. 8. Elizabeth, born 1748. 9. Ebenezer. born April 11, 1752, mentioned below. 10. Daniel, born 1754. Generation V - Ebenezer Tilton: son of Samuel Tilton (4), was born in Hampton Falls, April 11. 1752. He was a soldier in the revolution, a private in Captain Henry Elkins' company (Third), Colonel Enoch Poor's regiment in the summer of 1775; was ensign in November of that year in Captain Cutting Cilley's company at Pierce's Island. He was also private in Captain Thomas Stickney's company sent to the relief of Ticonderoga in 1777, and in Captain Leavitt's company again in that year; he took part in the Battle of Bennington. His house was at Hampton Falls and was lately occupied by John S. Cram. During or after the revolution he settled at Andover, New Hampshire, where he was a farmer the remainder of his life and where he died in 1835. He married Leah Lovering, who also died at Andover, in 1840. They had twelve children: 1. Caleb Morse, born January 20. 1778, mentioned below. 2. Samuel, born November 13. 1779. died at Wilmot, New Hampshire, April 7. 1866: married, September 4, 1800, Hannah Rowe. 3. Abagail, born 1782. died September 2, 1851; married Stephen Dudley. 4. Nancy Huldah. 5. Ebenezer. born December 22. 1787. died September 25, 1833: married, October 21. 1813. Deborah Cilley. 6. William, born about 1789, died in 1858: married Eliza Ash. 7. Jonathan, born in 1791, died January 27, 1875; married Polly Rowe. 8. Joseph, born September 6, 1793. died October 22. 1870: married January 20, 1814. Mary Rowe. 9. Silas Barnard, born August 25, 1795, died February 13, 1862: married December, 1919, Abagail Sanborn. 10. Levi R., born 1798, died November 15, 1826; married Phoebe Sanborn. 11. Hannah, married Stephen Brown. 12. Mehitable, born 1804, died March 24, 1885. Generation VI - Caleb Morse Tilton: son of Ebenezer Tilton (5), born at Andover, New Hampshire, January 20. 1778, died at Haverhill, November 28, 1851. He married, August 26, 1801, Ruth T. Cooper, of Newbury, Massachusetts. She was born March 24, 1779, died in Haverhill, May 24. 1859. They had nine children: 1. Caleb, born July 25, 1802, died February 5. 1834; married. April 15, 1823, Eunice K. Kent, of Newbury; they left three sons and one daughter, all of whom married and have children. 2. Lucy, born June 10, 1805. died December 10, 1808. 3. Wilder, born March 6, 1807, died December 10, 1808. 4. Wilder, born May 13, 1809. died December 25, 1833. married, April 19, 1832, Minerva Crowell, and they left one daughter who married and left children. 5. Cephas, born at Newburyport, Massachusetts, February 5, 1811, died February 23, 1879; married Harriet Nichols: they left two daughters both of whom married and left children. 6. John, born December 5, 1814, died January 5, 1815. 7. John Cooper, born January 14, 1816, mentioned below. 8. Eben Gilman, born in Newbury, May 16, 1818, died February 12, 1893; married Ruth Bean Sleeper, of Alton, New Hampshire: he was an excellent and unassuming citizen of Haverhill, for many years a successful shoe manufacturer: they had six children, of whom one daughter and three sons married and had children. 9. Lucy, born and died September 8, 1822. Generation VII - John Cooper Tilton: son of Caleb Morse Tilton (6), born at Newbury. Massachusetts, in that part now called West Newbury, January 14, 1816, died at Haverhill. September 27. 1897. He married, first, May 3, 1839, Lois Carleton. daughter of Ebenezer Carleton, of Haverhill. She was born February 2, 1822. died September 28, 1841. Married, second. May 2, 1842, Eliza Ann Brown, of Bradford, Massachusetts, daughter of Benjamin and Parthenia (Peabody) Brown, in that part of Bradford, now Groveland. She was born October 20, 1822. He was educated in the public school. He began his business career as a shoe manufacturer at Haverhill and conducted a general store at Tilton's Corner. Later he removed to the centre of Haverhill and continued his business, becoming one of the largest manufacturers of boots and shoes in Haverhill, having at one time Elias T. Ingalls and Jonathan Blanchard manufacturing for him. He retired from the manufacturing business and engaged in the retail coal business. In 1875-76 he built two schooners at Haverhill, thus reviving temporarily an ancient industry. He invested freely in real estate and built many houses and business buildings. He was always active in real estate operations and probably built more stores and dwelling houses and laid out more new residential streets than any other man in Haverhill. His reputation for probity and honor was of the highest and it was often said of him that "his word was as good as his bond." Although having but a common school education, his information on many subjects was accurate and full and his judgment excellent. In religion a Universalist during the latter part of his life he did not attend church. In politics he was a staunch Republican, a firm believer in the abolition of slavery, and for many years a subscriber to The Liberator. He was never an office seeker and rather shunned office-holding. He was, however, for a time an overseer of the poor and an engineer of the fire department. He was a trustee of the Haverhill Savings Bank, and director and president of the Essex National Bank. He built what is generally known as "Tilton's Tower," a prominent landmark of the city of Haverhill, from which an excellent view of the surrounding country may be obtained. Mr. Tilton lived in Haverhill from the time when its population was about three thousand until it became a city of forty thousand inhabitants, and through all that period of growth and development he was one of its most useful and most enterprising citizens. He amassed a fortune, weathering every financial storm, and always paying a hundred cents on the dollar. Though engaged in extensive business affairs for more than fifty years, he was never known to oppress a debtor. He made it a point always to support and assist those in any way worthy of help and he was always ready to extend financial aid to those in need of it. In an unostentatious way his charity also was unbounded. He never had a bad habit, and though strict with himself was charitable toward the failings of other men. The esteem in which he was held by his townsmen is indicated by conversation overheard at the time of his funeral. A lady standing near the open grave, said to a gentleman who was with her: "I never saw such beautiful flowers before." The man offered simply this explanation: "He was the best man in Haverhill." Child of first wife: 1. Andrew Jackson, born August 19, 1840, mentioned below. Children of second wife: 2. John Wilson, mentioned below. 3. Lois Ann, born at Haverhill, May 14, 1846, died March 27, 1900. 4. George Oscar, born May 20, 1848, mentioned below. 5. Lucy Jane, born at Haverhill, May 12, 1850, died December 28, 1864. 6. Lucy May, born at Haverhill, May 1, 1869, died August 26, 1905: married Arthur St. Clair Woodman; six children survive her. Generation VIII - Andrew Jackson Tilton: son of John Cooper Tilton (7), was born in Haverhill. August 19, 1840. He was educated in the public schools, and engaged in the manufacture of boots and shoes, attaining a foremost position in this line of business and holding it for many years. Since his retirement from the shoe manufacturing business he has devoted his attention with the utmost success to real estate. Largely through his efforts and influence the centre of the shoe industry in the city has been shifted from Merrimack street to Washington street. He is one of the most highly respected business men of the city. He married, first, Jane A. Ordway, of Bradford, Massachusetts, and, second. Martha J. Doak, of Newton, New Hampshire. He has had no children. Generation VIII - John Wilson Tilton: son of John Cooper Tilton (7), born in Haverhill, August 20, 1844, was educated there in the public schools and at Harvard College, from which he was graduated in 1868. For some years he engaged in the manufacture of boots and shoes in Haverhill, but in later years has devoted his entire time and attention to the care and development of his real estate. He is a shrewd and far-sighted investor, and has been active in real estate operations that have largely increased the assessed valuation of the city and proved of large public usefulness in other directions. Mr. Tilton is a Republican in politics, but consistently refuses to put party above his own convictions in cases of unsatisfactory candidates. He has never voted for an unfit man, knowingly, and his independdence has been a useful influence in keeping his party to a high standard, especially in municipal affairs. Mr. Tilton served the city in the common council in 1872-73, and was representative from his district to the general court in 1877-78. His chief interest in public affairs, however, has been in the school board, of which except for two years he has been a member continuously since 1876. During his long and faithful service in the school board he has suggested and supported many improvements now in vogue in the schools. He has= written several of the annual reports of the school board and served on committees that prepared others. He was the last secretary elected by the board, serving until the superintendent of schools assumed the duties of the position, ex officio. Mr. Tilton was a Unitarian in early life, but since leaving college has attended no church, believing "not in theology but in morality." His family attend the Universalist church. He is a member of Saggahew Lodge, Free Masons, and has been junior warden of that body. 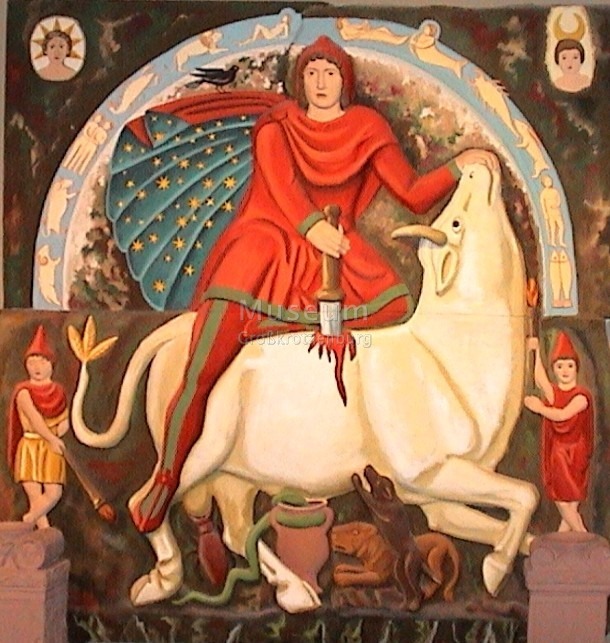 He was formerly a member of Mutual Relief Lodge of Odd Fellows: of the Benevolent and Protective Order of Elks and was at one time its exalted ruler. He was the first secretary and is now the vice-president of the Haverhill Historical Society, being a charter member. He is a member of the Pentucket Club and the Whittier Club. He was one of the founders and first secretary and treasurer of the Haverhill Co-operative Bank. Mr. Tilton has a penchant for books, pictures, antique furniture, silver and china, and has an extensive and very valuable collection. He is a well known connoisseur and his collection is at once the admiration and envy of other antiquarians. Mr. Tilton is deemed a radical from the fact that having positive ideas on all subjects within his knowledge and no hesitancy in expressing his views, he has never "trimmed his sails to catch the passing breeze" and is not concerned with the popular view. But his sterling common sense and force of character have tended often to make him a strong leader of public opinion and to bring his views to the general acceptance of his townsmen. He married, October 27, 1869, at Trinity Church, Boston. Mary Ellen Hancock, born in Boston, daughter of James Scott and Ellen (Hatton) Hancock, of Boston. She was educated in the public schools of Boston. She and her sister are the last descendants of this distinguished Hancock family, bearing the name of Hancock, and she has in her possession the portraits painted by J. S. Copley of Thomas Hancock, the builder of the Hancock House, of Governor John Hancock, and of Lydia (Henchman) Hancock. James Scott Hancock was a gentleman of leisure all his life. Children: 1. John Hancock, born in Haverhill, September 16, 1870. married, April 23. 1900, Elizabeth Worthington Seeley, daughter of Raymond Seeley, D. D., and his wife, Frances Barton (Stites) Seeley; they have one daughter, Dorothy Hancock, born August 23, 1904; John Hancock Tilton is engaged in the real estate and insurance brokerage business, Haverhill. 2. Charles Lowell, born at Newton, Massachusetts, January 19, 1872. educated in the Haverhill schools and was treasurer of the Haverhill Safe Deposit & Trust Company; is now a trustee of that bank and a partner of his brother in the real estate and insurance business, Haverhill. 3. Louise Hancock, born at Haverhill, March 15, 1875. educated in the Haverhill schools and in Bradford Academy; resides with her parents. John Wilson Tilton died in Haverhill, Mass., on Aug. 13, 1917, in his 73d year. He was born in Haverhill, on Aug. 20, 1844, the son of John Cooper and Eliza Ann (Brown) Tilton, whose ancestry on both sides lived in or near that part of New England. His father was a shoe manufacturer and a prominent upbuilder of the mercantile and residential parts of Haverhill, and filled several municipal offices. Tilton brought his educational advantages, his creative and constructive talents, and his inborn and cultivated taste for literature and art, to bear in the development of his native city and of his home. He was fitted for College at the Haverhill High School. 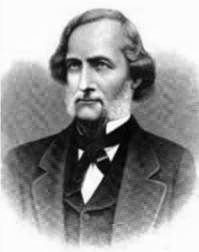 After graduating at Harvard in 1868, he at once engaged in business in Haverhill. In 1871-72 he was a member of the Common Council of that city. For more than 33 years he served on the Haverhill School Committee, and wrote several of its reports. He was vice-president of the Haverhill Historical Society. In 1876-77 he was a Representative to the Massachusetts Legislature. He then studied law and in 1883 was appointed a master in chancery, which office he resigned in 1888, when he was appointed a deputy sheriff, a position he held until his death; he declined to perform the ordinary functions of that office, but derived return in an interchange of amenities with judges and lawyers, in assisting in decorum at sessions of the court, and in the study of individual psychology. He helped to organize the Haverhill Civic Association, which framed and caused to be adopted a new charter for Haverhill, the first of its kind in New England to be adopted. He was a Freemason, an Odd Fellow, an Exalted Ruler of the Elks, a member of the Whittier Club, of the Pentucket Club, of the Essex Institute, of the Essex Book and Print Club, and was president of the Haverhill Harvard Club. As one of the largest owners of real estate in Haverhill, he was actively engaged in its care and development. He traveled extensively. As a litterateur and lover of precious volumes and of art, he acquired a wide-embracing, valuable library, and a large collection of superior paintings, together with uncommon Oriental ceramic and bronze productions. His library room and its contents, unique in rural New England, bequeath an inspiring memorial. His enthusiasm as a horticulturalist heightened during his life the charm of his enlightened home. Three notable portraits by Copley that hung in the famous Hancock House in Boston (built 1737, demolished in 1863) are now in Tilton's house: one of Governor John Hancock, one of Thomas Hancock, who built the house, and one of Lydia (Henchman) Hancock, his wife. Tilton was married, Oct. 27, 1869, in Trinity Church, Boston, to Mary Ellen, daughter of James Scott and Ellen (Hatton) Hancock, of Boston. His widow survives him, and three children, John Hancock Tilton, Charles Lowell Tilton, and Louise Hancock Tilton. Generation VIII - George Oscar Tilton: son of John Cooper Tilton (7), born in Haverhill, May 20, 1848, educated in public schools of Haverhill and commercial college of Boston. For a quarter of a century he worked for his father while he was carrying on the coal business and extensively engaged in real estate and building operations. After the death of his father he engaged in the real estate business, in connection with other members of the family, doing considerable building, erecting some of the best blocks in Haverhill. He has also been engaged in the hotel business for a time at Camden, Maine. For the past few years he has been engaged in looking after his real estate, spending his summers at the seaside. In 1894 he was elected alderman, in which capacity he rendered faithful service, and has also filled the office of clerk. He is a Republican in politics. In fraternal circles he is quite prominent, being an active member of the Royal Arcanum, Pilgrim Fathers. Knights of Pythias, Lodge of Perfection. Free and Accepted Masons. Mr. Tilton married, May 20, 1875. Angie Nettic Studley, of Camden, Maine, daughter of John Studley, ship-builder. They are the parents of one son, Andrew Jackson, born at Haverhill. July 20, 1877. traveling salesman for dental supplies. Generation IX - John Hancock Tilton: born in Haverhill, September 16, 1870. married, April 23. 1900, Elizabeth Worthington Seeley, daughter of Raymond Seeley, D. D., and his wife, Frances Barton (Stites) Seeley; they have one daughter, Dorothy Hancock, born August 23, 1904; John Hancock Tilton is engaged in the real estate and insurance brokerage business, Haverhill. Generation X - Dorothy Hancock Tilton: born in Haverhill, Massachusetts on August 23, 1904. She married first: Robert Silliman Hillyer, son of James R. and Lillian S. Hillyer. Robert was born June 3, 1895 and died December 24, 1961. Robert and Dorothy married in 1926 and were divorced in 1943. Dorothy married sceond: Giorgio Diaz de Santillana, son of David de Santillana and Emily Maggiorani. Giorgio was born on May 30, 1902 in Rome Italy; he died June 8, 1974 in Dade County, Florida. Giorgio and Dorothy were married in September 1948; there is no evidence that they were ever divorced. The Massachusetts Death Index gives her name as "Dorothy Desantillana" with her death occurring on June 19, 1980 in Beverly, Massachusetts.